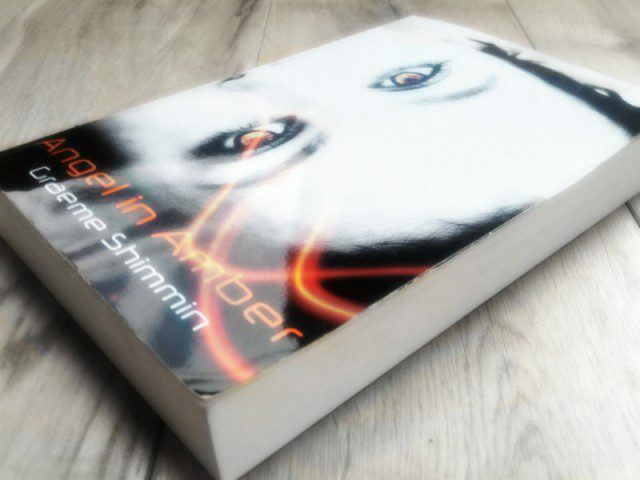 Angel in Amber is a near future spy thriller written by me, Graeme Shimmin. It’s about a three-way covert conflict between a trigger happy USA, a united Europe and a rising China, with Britain trapped between the hostile blocs. In the near future a British spy is asked to trace plutonium stolen by a Chinese terror group. When an old flame who he thought was dead reappears he tries to rekindle their relationship, but she is working for the terrorists. They have to choose between their love and their conflicting missions, whilst trying to secure a horrifying super-weapon. In the near future, Rob Salisbury a British counter-proliferation expert and Amber Rookwood his counterpart from the US meet and fall in love during a cataclysmic Arab-Israeli war, which leads to Amber’s disappearance and presumed death. Years later, Amber re-emerges, saving Rob from an assassination attempt but holding him prisoner as she leads an ostensibly Chinese terrorist group in a tactical nuclear attack on the State Opening of Parliament – wiping out Britain’s military and political leadership. Whilst trying to prevent the subsequent coup and discover who is really behind it, Rob discovers that Amber’s attack has an even more sinister purpose related to a horrifying British weapon of last resort, the Ascalon weapon. With the future of the world at stake, Rob and Amber struggle over the Ascalon weapon and are finally forced to decide between love and duty, happiness and honour, conquest and death. I am mad, a dangerous man. I need stopping. At least that’s what the news tells me. My crimes are legion. I want to take your children from you. I will stop at nothing. At least that’s what the news tells you. I’m a desperate man. I haven’t much time left. This last bit is true. But I’m getting ahead of myself, the Angel has fragmented my memory. Memories… Amber screaming. The blue black of the sky from a hundred thousand feet. The smoking ruins. Life. Death. Rebirth. Ascalon. More than anything, Ascalon. I’ll start with our last hour together. We can improvise from there. We’ve been flying for hours. My gaze jerks back to the main instrument panel. ‘Come on, it’s hard enough with this obsolete British trash you’re forcing me to use,’ she says, smiling. ‘At least this obsolete British trash is here, not still in a factory in Seattle,’ I say. She snorts and turns back to the screens. I bank the Raven onto the next leg of the search pattern. ‘What will you do after the mission is over?’ I ask. Her chocolate brown eyes narrow and there’s a slight smile, what I call her ‘you’re a moron’ expression. She doesn’t like you at all–she’s just sleeping with you to pass the time between missions. I push the thought back under until it drowns. I like the black, white and orange colour-scheme of this cover a lot and Amber’s eyes are a dramatic contrast. The font is a futuristic looking one too, which sets it in the right time frame. If you like near future spy thrillers with political and mystical themes, you’ll love this. Angel in Amber isn’t is scheduled to be published yet, but A Kill in the Morning, came out in June 2014, and if you sign up below you’ll have my monthly free story to keep you going. If you’d like to discuss Angel in Amber, please email me. Otherwise, please feel free to share it using the buttons below.